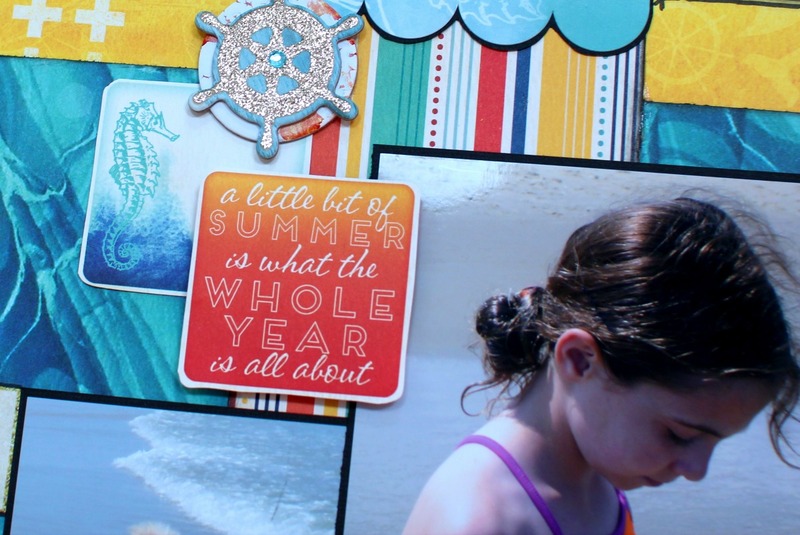 The BoBunny Blog: June Sketch Challenge! 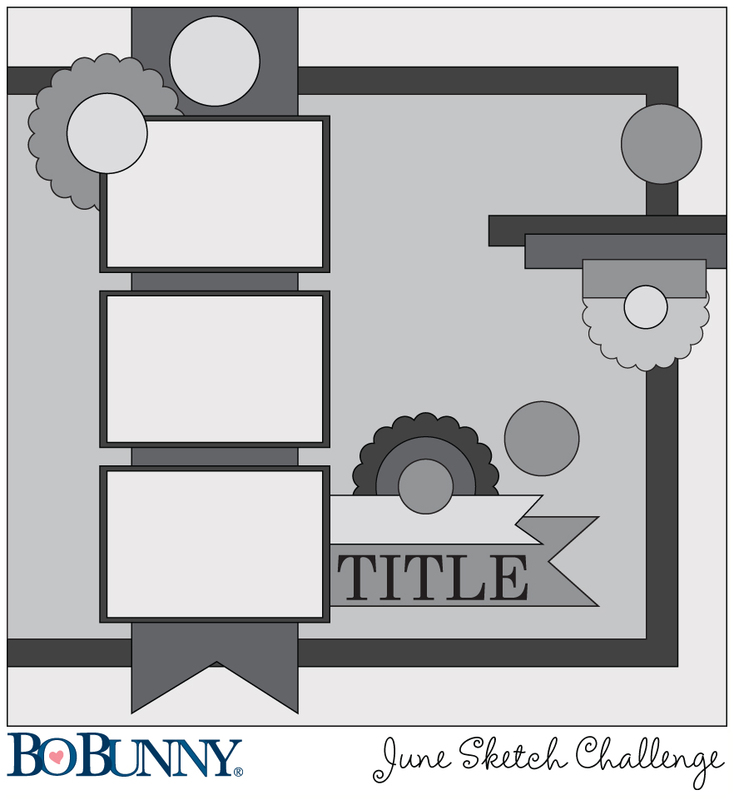 Happy Saturday everyone and welcome to the BoBunny June Sketch Challenge! 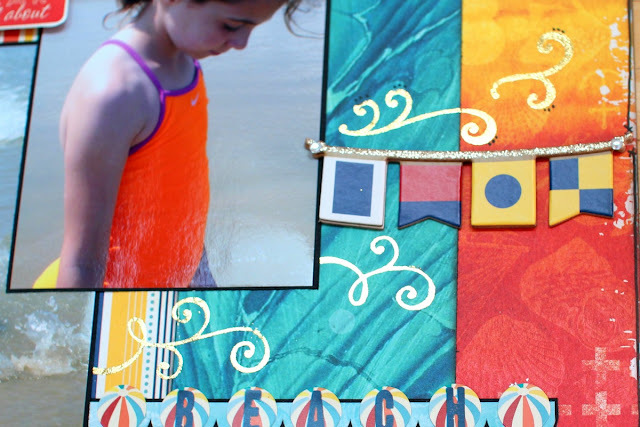 You're going to love this months challenge & prize! I really loved the sketch so I didn't change too much of it - most of the elements I kept the same, including the placements of the papers, title, and embellishments. I did change up the photos a bit, instead using two 4x6 pics. And now, it's challenge time! Here's how it works! Each month we will share a new sketch and what one of our designers was inspired to create with it. To play along all you have to do is create a project inspired by the sketch using BoBunny products and then share it with us using the InLinkz widget below. 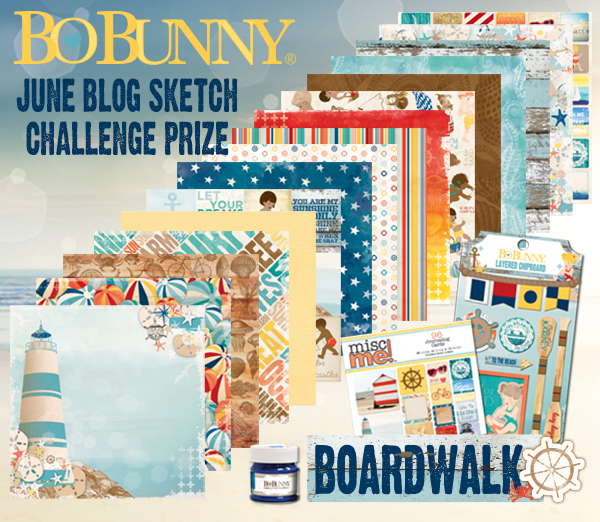 When you enter, you will have the chance to be randomly selected to win this spectacular prize package full of BoBunny goodies featuring the fun in the sun Boardwalk collection! 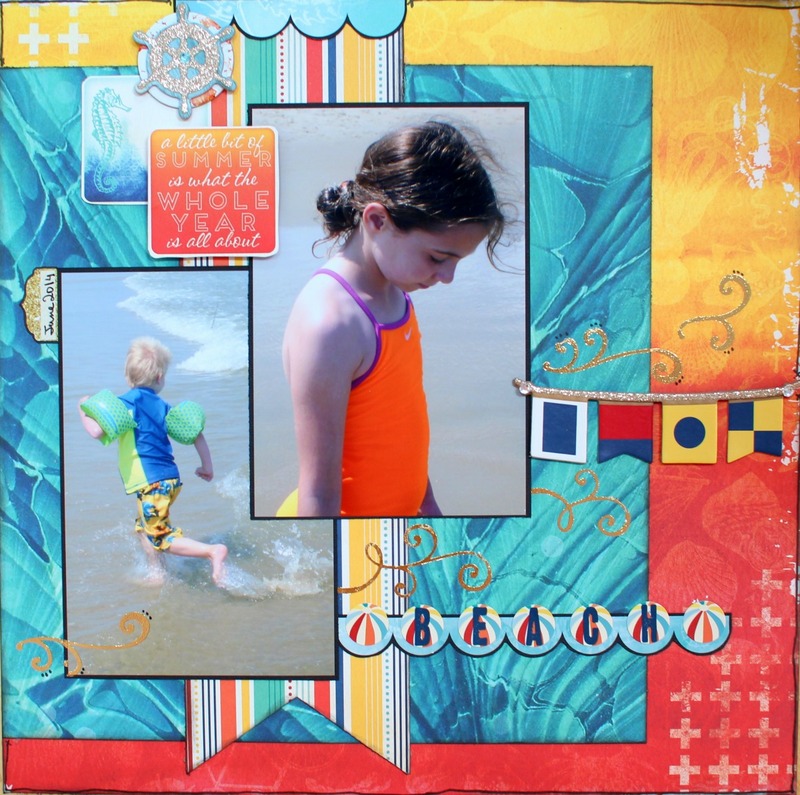 We are thrilled to announce May's Blog Sketch challenge winner! Congratulations to Essie #3! Please eamil us at bopress@bobunny.com with your contact information so we can send you your prize! Great sketch challenge. I'll give it a try! I'm working on mine now!